Vote with your feet for a burrito day of the week, wearing these fun, comfy, cotton blend unisex socks. Why should tacos be the only Mexican favorite with its own day? Vote with your feet for burritos every week. 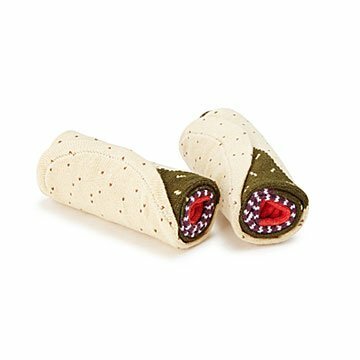 These fun, cotton blend socks look like the real thing when they're rolled up. Put them on, and they're as comfy as Mexican comfort food. Stuff 'em in the stockings of Mexican food-loving friends and family, and Christmas is a wrap. Made in China.